These gifts arrived late last week--what a unique response to the text. 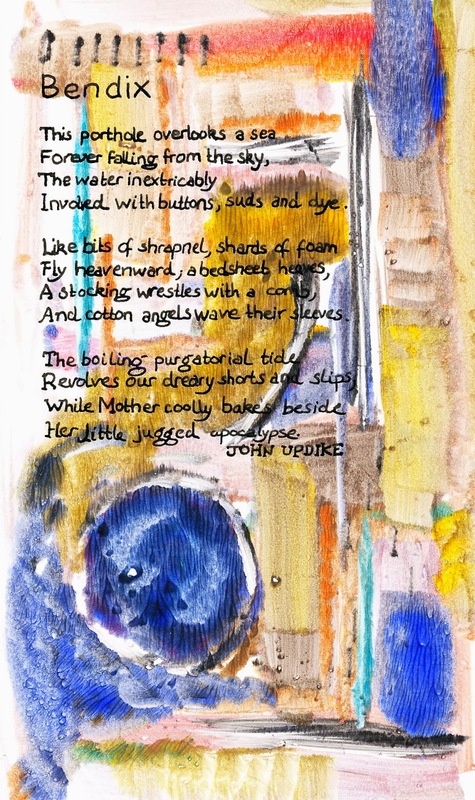 One is a hand written poem, Bendix, by John Updike -- a meditation on the humble Bendix washing machine. 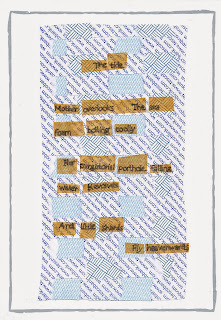 The text is incorporated into a gelatin plate print that calls to mind the swishing water of such a machine. 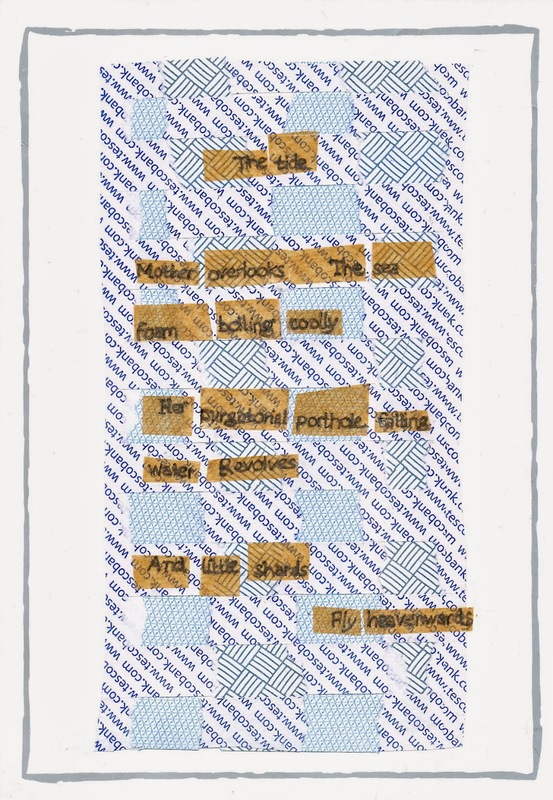 The other is a 'found' poem floating in a blue and white background of woven security envelope linings. Such paper can be considered 'found' paper, so it has an additional connotation here. Both arrived in an envelope embellished with blue watercolor swirls. Thank you Emily! Hand written poem on Gelatin plate print.